It’s one of the most iconic names in the games industry. Square Enix needs only slap “Final Fantasy” on the box to almost guarantee to generate a fever hype behind the game. And Square Enix knows that all too well, which is why there is an almost endless stream of games with “Final Fantasy” on the box landing on our shelves these days. Not that I’m complaining, as they generally make for a good time, but, yeah, there are a lot of them. So this week for our Friday Ten we’re going to list the ten finest games with Final Fantasy on the box (to date). Usual disclaimers: this is a list of personal favourites so if you don’t agree, great, let us know what your favourites are, but no need to be nasty. With that out of the way, enjoy! And if you haven’t had the chance to play any of these games yet, for any reason, make sure you remedy it as soon as you can! On a purely sentimental level, this has got to be my favourite Final Fantasy game of all time. Some quick backstory – after going to university and leaving home, I spent the first couple of years of my career in a share house, which meant I didn’t really have room for game consoles. When I moved into my own place, one of the first things I bought was a Wii, as it was cheap and within my budget and I really badly missed having a game console. The first game I picked up for it was Final Fantasy Fables: Chocobo Dungeon, because I love Final Fantasy, and I was hooked from the moment I first started playing. Chocobo was cute, I love roguelikes, and it was great having a home console again. 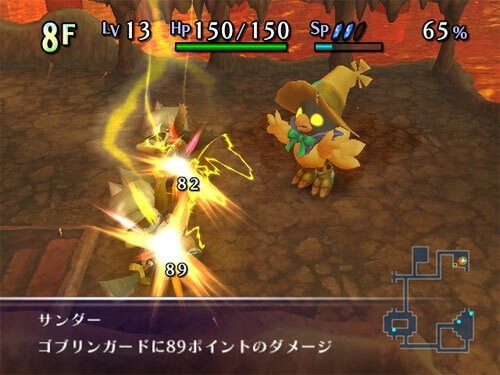 I honestly wonder why Square hasn’t tapped this franchise again – as a downloadable game on mobile or console, a new Chocobo Dungeon would be awesome. 1) It’s a PlayStation 4 game, with an overworld map that is reminiscent of the old PlayStation One Final Fantasy games. It’s actually important. It’s good to see that Square Enix still has confidence in its franchise that it can greenlight Final Fantasy games on the strength of their narrative and theming. 2) It’s actually quite dark for a Final Fantasy game. I’m not a fan of chocobos being slaughtered because it’s grim (see above for reasons why I a firmly against cruelty to chocobos), but elsewhere I am a fan of the mature anti-war subtext to the game. It’s good to see Square Enix get genuinely serious from time to time. 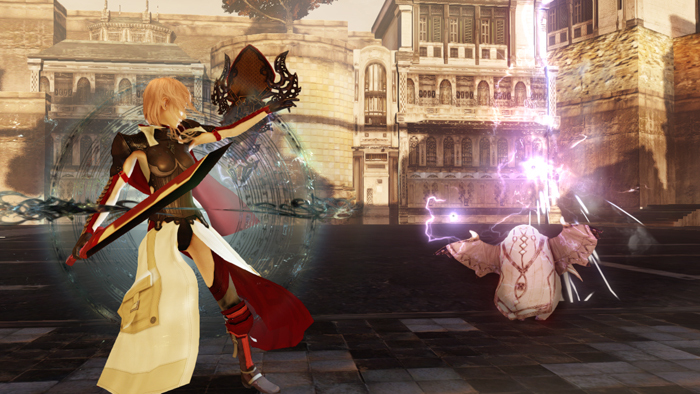 Oh I just know I’m going to get hate mail for including this, but I really love Lightning Returns. Not only is it my pick of the three in the Final Fantasy XIII trilogy, but it’s one of my favourite Final Fantasy games ever. I know that the gameplay didn’t gel well with everyone, and the real time time limit could be stressful at times, but where others found the narrative to be confused and even incomprehensible, what I got out of Lightning Returns was like a philosophy textbook in game form, and the philosophy nerd in me just loved that about it. Final Fantasy X was the first game I purchased when I finally got a PlayStation 2, and that console instantly became my favourite at the time. With classical turn-based combat and a great mix of characters, this is one of the best balanced and proficient games the series has ever produced. While the voice acting feels laboured now – to the point of being cringeworthy – it was also a real step forward at the time in terms of production values, to have so much voice acting. And the characterisation was so strong I forgave Tidus and Yuna’s little laughing session anyway. By the time they “took a swim together” (and you just know that was a bit of metaphor on Square’s part) I was in tears anyway. While Final Fantasy XII wasn’t quite the emotional experience that FFX was (we tend to forget about FFXI, because that was an MMO, so for those of us that like the single player story, FFXII felt like the next in the line after FFX), it had many redeeming features of its own. A really good cast, for a start. Balthier is dreamy, even today, and Ashe is the princess of my dreams. Final Fantasy XII is the only Final Fantasy that hasn’t been modernised for a modern platform. C’mon, Square, you know we want it, so it’s time to announce that HD remaster, damn it. One of the strengths of the Final Fantasy series – even with those games within it that have not been so popular – has traditionally been its music. Sure you might dislike Final Fantasy XIII, but that score is incredible. 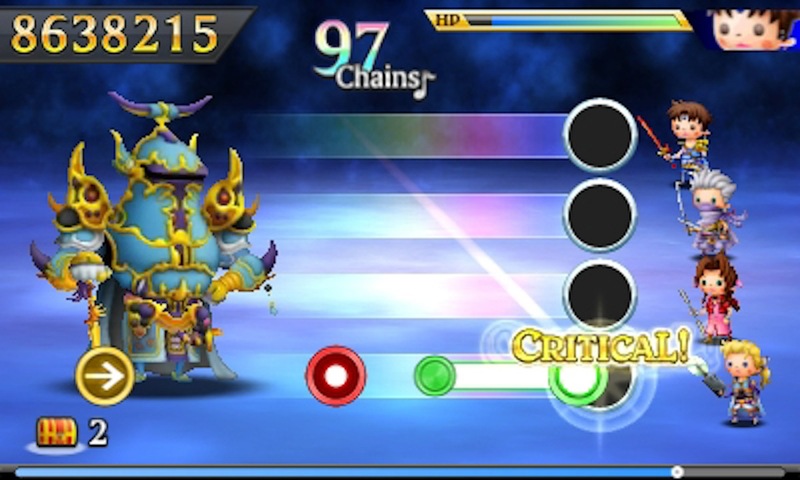 With hundreds of tracks taken from the entire history of Final Fantasy, Theatrhythm only needed to get the rhythm game component kinda-sorta there to have an essential game. It did more than that. This is an exceptional rhythm game, backed by all the weight of the Final Fantasy music. A truly winning combination. 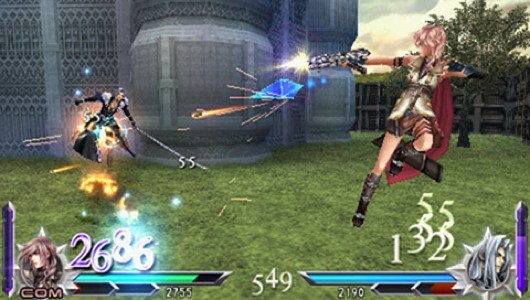 I wasn’t sure how I’d get along with a Final Fantasy fighting game, but I was pleasantly surprised; Dissidia 012 has proven to be one of my favourite fighting games of all time, and one that I still play to this day. Boasting a massive cast and plenty of fanservice, I would be lying if I said I didn’t wish for some other playable characters (Rikku and Vanille, specifically), but the action is so rich and balanced that in the end I can’t complain too much. 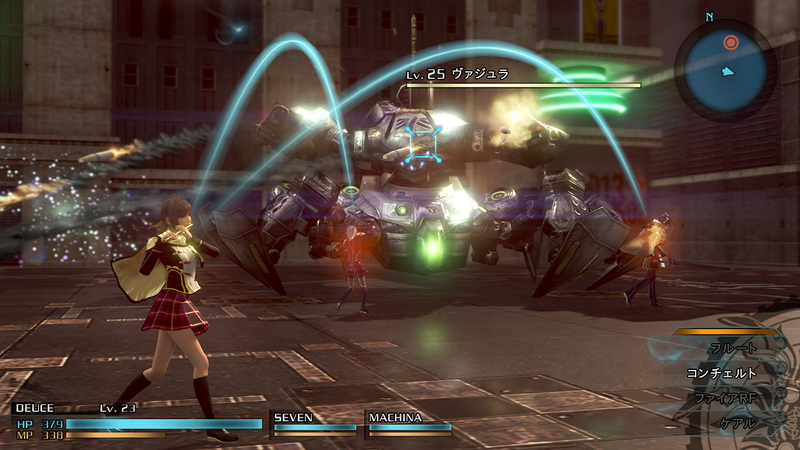 There are rumours that there will be a PlayStation 4 Dissidia down the track… that will be special indeed. 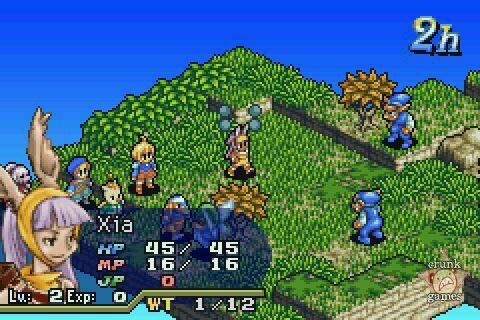 I know most people prefer the original Final Fantasy Tactics, but I’ve got to admit I have a real soft spot for Final Fantasy Tactics Advance, which I dumped a lot of time into. I found the rich variety of characters and job classes, coupled with plenty of scenarios to play through, to be really addictive, and a perfect fit for the handheld format - which I have always preferred for my tactics games. Balancing out armies so that they had the right mix of skills to take on the often significant difficulty spikes had me playing for hundreds of hours back in the day. One of the least well known Final Fantasy games is also one of the best. 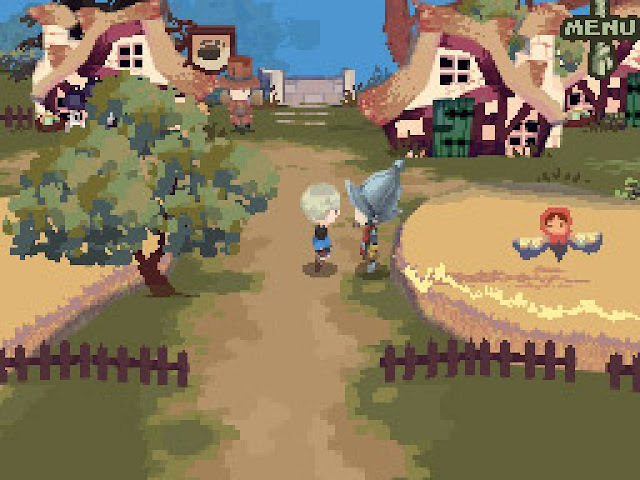 The Four Heroes Of Light was a clear forerunner to Bravely Default and its sequel, offering a similar kind of character aesthetic, a combat system that also focused on taking risks with all-out attacks, or carefully biding time towards unleashing a big one, and a similar focus on a very classical Final Fantasy narrative. Four Heroes of Light had an identity all of its own though. It had gorgeous watercolour-like environments (which, sadly, look terrible on the modern big 3DS screens), and some light puzzle elements that helped balance out the combat. As a curiosity in the long Final Fantasy franchise, this one is essential. I never thought I’d get into an MMO, but I really, really enjoyed Final Fantasy XIV. 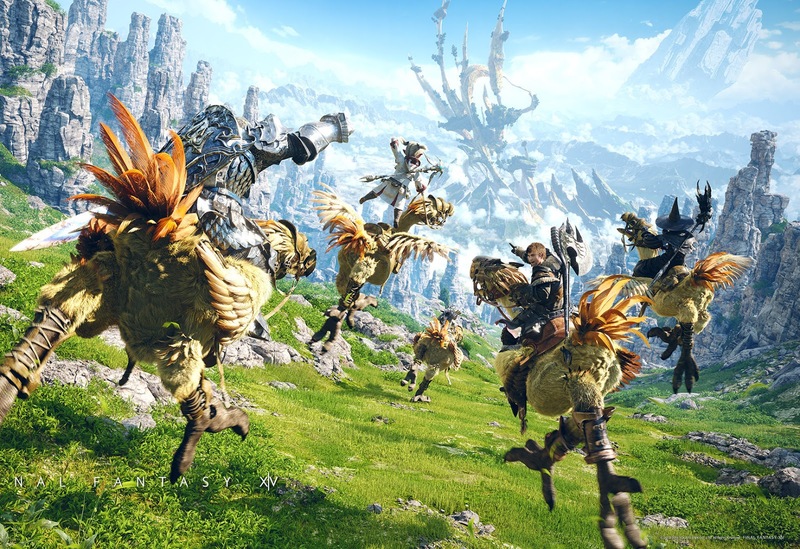 Though it had MMO elements, it also had so many throwbacks to classic Final Fantasy lore – from the chocobo mounts to the enemies, the crystals, and the music itself is divine. I’m not a huge fan of all the social elements of the game – I prefer to play it as a straight JRPG as much as possible (mostly because the idiots run through the cutscenes in dungeons and leave me behind), but that alone means days and days of content, and if this game turns out to be anything like Square Enix’s MMO predecessor, Final Fantasy XI, then we have many years of content to look forward to yet. If you enjoy my writing, please consider backing me on Patreon. The more backers I have, the more writing I'll be able to do about your favourite games!